Trey Edwards is likely to be coming to an SEC or Big 12 field near you really soon. The junior athlete at Crosby (Tex.) 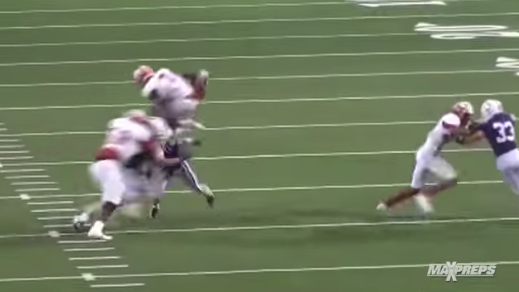 High School made one of the nastiest moves you’ll ever see, not only hurdling a defender but doing a 360 as well.